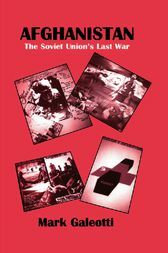 The Soviet Union's last war was played out against the backdrop of dramatic change within the USSR. This is the first book to study the impact of the war on Russian politics and society. Based on extensive use of Soviet official and unofficial sources, as well as work with Afghan veterans, it illustrates the way the war fed into a wide range of other processes, from the rise of grassroots political activism to the retreat from globalism in foreign policy.